There is an understandable tendency or desire to attribute blame when patients are harmed by their own healthcare. However, many cases of iatrogenic harm involve little or no moral culpability. Even when blame is justified, an undue focus on one individual often deflects attention from other important factors within the inherent complexity of modern healthcare. 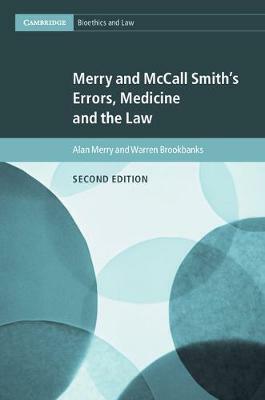 This revised second edition advocates a rethinking of accountability in healthcare based on science, the principles of a just culture, and novel therapeutic legal processes. Updated to include many recent relevant events, including the Keystone Project in the USA and the Mid Staffordshire scandal in the UK, this book considers how the concepts of a just culture have been successfully implemented so far, and makes recommendations for best practice. This book will be of interest to anyone concerned with patient safety, medical law and the regulation of healthcare.